The Road to Middle England (animation still, 3mins, 2015): still from forthcoming animation, the scene features a breakdown during a CV writing class. I work in a variety of media although I don’t aspire for expertise in any specific area which is a key aspect of my practice. I am interested in lending expression to the thoughts and frustrations arising from a deskilled job market where workers are replaceable. For me, the worker artisan is nomadic and anonymous, impeded by job insecurity and the resulting sense of isolation. My practice is often influenced by themes of decay, deterioration and obsolescence. Such states of being and becoming have the potential to undermine a status quo in which things have fixed meaning or functional purposes. My installation work attempts ambitious and absurd alterations extending from the appropriation of commonplace objects to the re-imagining of place. This resurrects utopian avant-garde notions whereby societal progression requires continual change and experimentation. In doing so, tensions between creative freedom and the adherence to social norms are opened to analysis. Artistic autonomy is pitted against the neo-liberal and utilitarian. The worker artisan battles obsolescence in a dystopian wasteland of discarded appliances and unwanted gadgets. 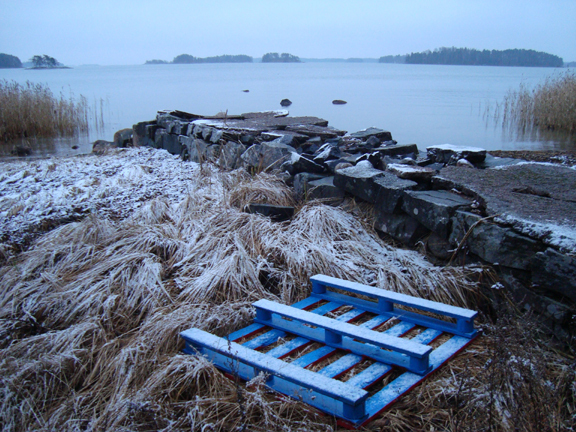 Pallet Series (project documentation, dimensions variable, 2010): Hand painted shipping pallet abandoned off Helsinki coast after full delivery circuit 2007-12. I once found myself in an interview for an unpaid 3 month work trial serving burgers for a fast food chain which I won’t name. The interviewer calmly mentioned that I would regularly be subject to physical and verbal abuse by drunken customers, which was something staff at this location should get used to. He asked would it bother me. It did. I decided that I would make art about being poor, powerless and unskilled and I would work with the everyday, the overlooked and the peripheral. After graduating from university, I then went to work in a call centre, gathering source material from my experience. I had a studio in a derelict warehouse; I would make art whilst the rats nibbled at my food. I realised rats would not eat dehydrated noodles. After 4 years on a diet of noodles I no longer have a studio. I now choose to work either in a way that is site-specific or the complete opposite in my room at home. Oscillating between private and public space influences the creative process in a way that the more neutral typical studio space does not. I think the hot-desking style of making work that can’t remain in one place for long periods of time reflects the reality of employment where stability is a thing of the past. I spent a year going through other people’s rubbish in an attempt to profile the lives and motivations of strangers. It was a kind of forensic analysis and I got people from different professions to help. That kind of networking is something you never really envision, that and the relentless administration work that is central to managing an art practice. When you start out you imagine you’re standing in front of your latest creation in front of hoards of adoring faces, in reality the creation of work is not so spontaneous, involving lengthy negotiations leaving the artist buried beneath piles of paperwork. For me the creative process is obsessive. I think even something mediocre is made interesting through devoting time and a lot of focus on minor detail. Perseverance beats natural talent, in fact talent is not natural it is unusual. As long as there is a project for me to think about any time is the best time. Having said that, mornings never seem to be productive. 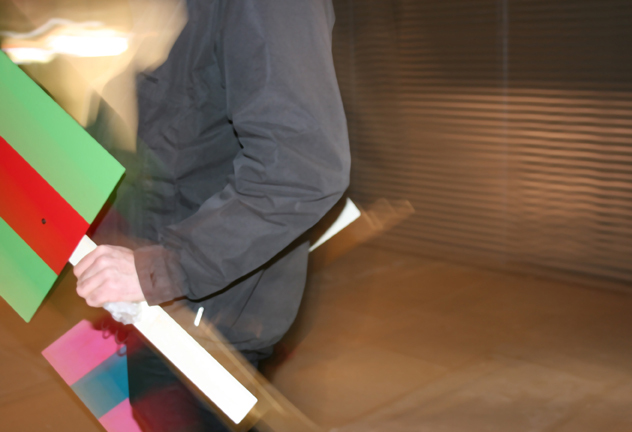 Protest in Abstract (performance documentation, dimensions variable, 2015): Demonstration passing through Brick Lane, London. Five years ago I made installation paintings. I would install work in derelict and abandoned buildings, providing new narratives to their history. I liked the idea of the viewer becoming part of the painting as they negotiated the space but my interest soon turned to the social issues around dereliction and the decline of these urban areas. 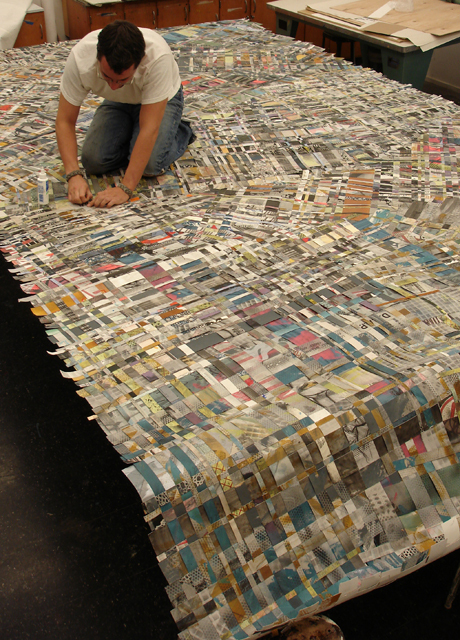 I found that my work progressed from the site-specific to site-responsive to then become more thematically motivated. The mobility of my practice increased and I introduced new media and methods of communication (such as pop-up exhibitions and interventions through to performance). Ultimately as the sites for my work change many themes recur; the most consistent aspect of this work is the recurrent proposition that when apparent fixed meanings can be challenged and undermined surfaces inevitably crack and new narrative possibilities are created as the balance of power shifts. I see the artist as a kind of shaman because they have the power to make us see things with fresh eyes. The people that interest me tend to be illusionists and magicians, especially those involved with sleight of hand and impromptu street tricks. I am fascinated by those that attempt the suspension of disbelief and then scramble to pick up the pieces when things come apart. I also found Charles Bukowski’s novels an influence on themes behind my work, primarily because he presented a warts-and-all flipside to the optimism that characterised the nomadic lifestyle of many other beat generation writers. I think that art is often a licence to pursue any interests you may have with some sort of creative conviction. Reality will pull you in different directions, so there are always other pursuits that serve the purpose of keeping the wolf from the door. However, these jobs enable you to pick and choose the artwork you want to make and the exhibitions you want to be in. If another existence was possible, or another interest was to dominate, it would be travel and journalism; an ex-pat life drenched in cheap wine and sunshine. 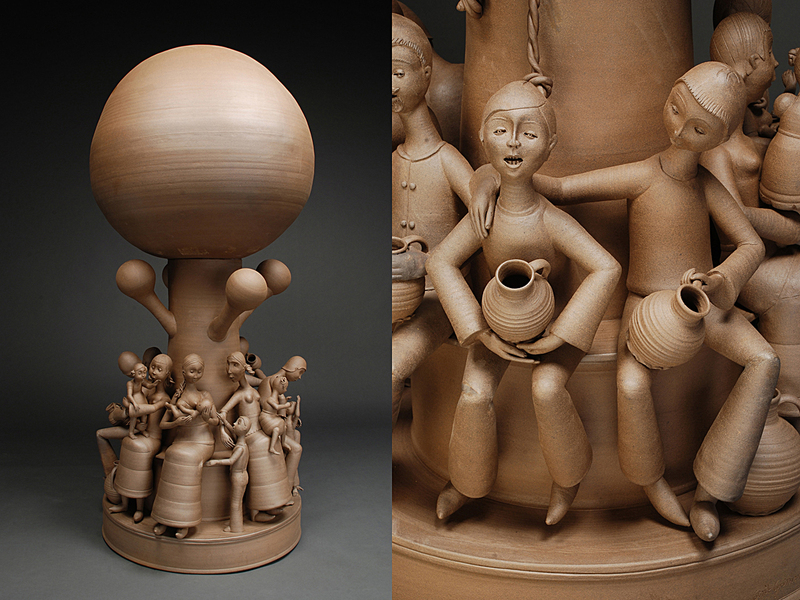 John O’Hare is an artist and curator currently working in London, UK. His work takes a melodramatic, neurotic and surreal approach to social critique. He creates demonstrations, mock elections and absurd manifestos alongside elaborate interventions with the purpose of re-imagining overlooked spaces. 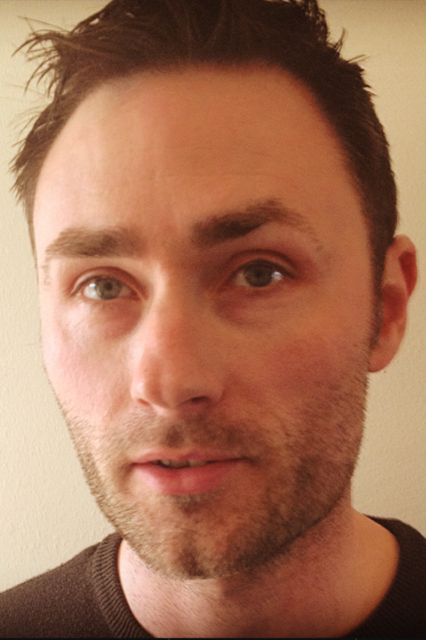 Between 2006 and 2009 he was curator with Wolstenholme Projects, Liverpool where he studied BA Fine Art. 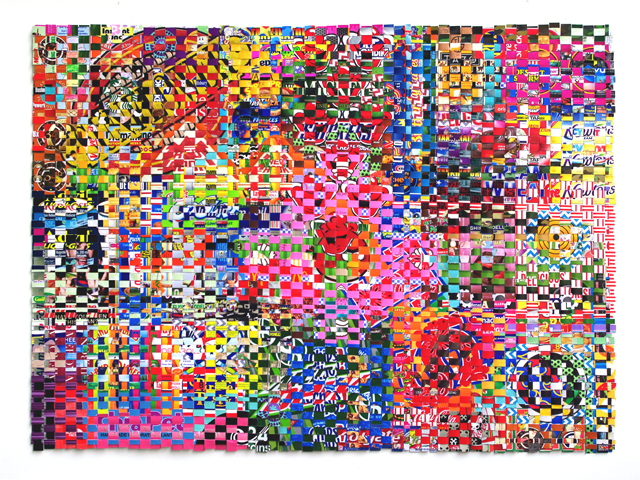 He has worked with POST a site-specific artist network in London on various projects. His most recent curatorial role is on the Roadside Museum a touring exhibition of artworks that had been buried for a year to fast forward the aging process. He has recently exhibited at the 15th International Bakhtin conference in the Royal Art Academy Stockholm, Le Murate Centre for Contemporary Art Florence and Sofia Arsenal Museum of Contemporary Art. 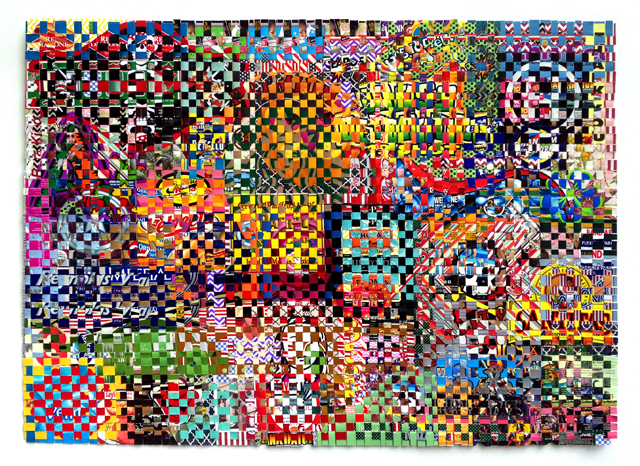 His work combines drawing, painting, sculpture and text with new media, in which numerous artistic styles and values clash along the way. 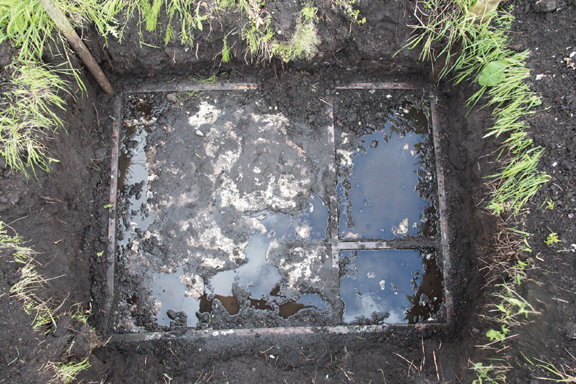 The Roadside Museum (excavation documentation, dimensions variable, 2014): still from a short film documenting the lengthy excavation of a 2.4 x 1.8 metre painting buried unprotected on a farm. This entry was posted in Installation, New Media, Sculpture, Uncategorized and tagged Installation, London, new media, politics, sculpture. Bookmark the permalink.